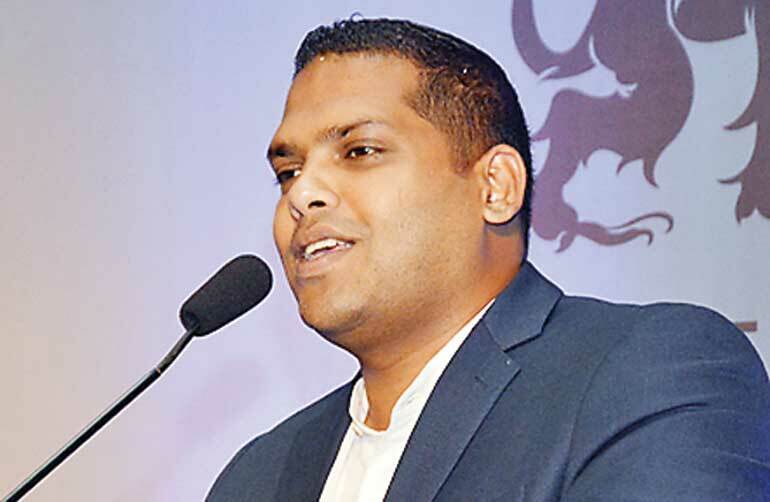 Expressing discontent with the country’s largest fixed line operator Sri Lanka Telecom (SLT), Telecommunication and Digital Infrastructure Minister Harin Fernando yesterday insisted the company should formulate a plan to share its network with other players in the sector. SLT, which is headed by President Maithripala Sirisena’s brother Kumarasinghe Sirisena, has one of the largest fibre backbone systems in Sri Lanka. In its 2015 Annual Report the company said it was prepared to share capacity with other telecom operators. Minister Fernando expressed displeasure over the current operations of State-controlled SLT and warned that the Government could introduce a separate semi-government organisation to compete with it if the situation failed to improve. “SLT is still much unionised and very difficult to get things done. Due to the monopoly, several important steps have been delayed. I believe that there should be a different market force that needs to take this over and we are trying to develop another semi-government company to compete with SLT. I have told SLT to fall in line or otherwise this company will be formed. SLT also feels very comfortable because they are the only National Backbone Network (NBN) licensee in the country,” Fernando said. Speaking at a media briefing which took place alongside the country’s first broadband summit, Minister Fernando also outlined several new digital initiatives to be rolled out by the Government next year. He said that Sri Lankan citizens will have free Wi-Fi Internet access at 150 more selected public locations island-wide within the next two months, increasing the total number of Wi-Fi locations to 400, as five original providers – SLT, Dialog, Mobitel, Lanka COM and Lanka Bell - have come to an agreement with the ministry to share their bandwidth. Fernando reiterated that the Government could be losing as much as $ 2 million daily, including from major revenue generating authorities, by not having a digitised platform for Government services including tax payments. The Government had estimated total revenue leakage due to the non-digitisation of Government services, which includes Customs, Inland Revenue and Excise departments, could add up to a whopping $ 2 million per day. “The best example to quote would be the pension system. We still hear that people receive pensions even though the person died 20 years ago. If the pension process was properly systemised electronically in the first place we could have saved a lot of money. This is just one instance,” said Fernando. He explained that the Government was looking at merging the scattered e-government services of several departments by January 2017, to ensure that every citizen experienced better-run services. “Government authorities still have different systems, which I feel are scattered. Our aim is to amalgamate all these and bring them onto a common platform by the end of January 2017. However, we still have issues over the fact that whether Government authorities are fully prepared to be digitised. Digitisation is a gradual process which needs patience and time,” opined Fernando.